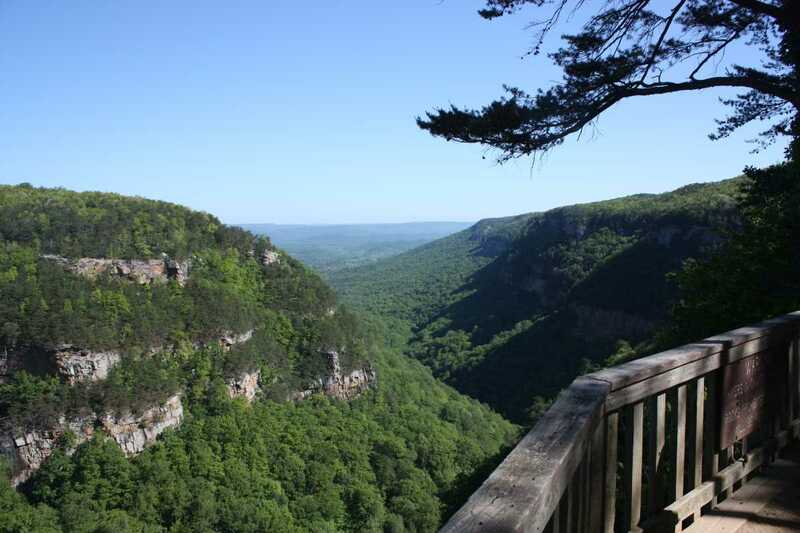 Tucked away in the northwest corner of Georgia, Cloudland Canyon State Park offers a variety of trails for different skill levels. The West Rim Loop, a 4.8 mile lollipop loop, offers a journey for those looking for adventure without too much difficulty. 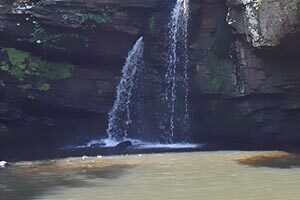 Combining the Waterfalls trails changes the game significantly with a drop into the canyon rivaling that of Tallulah Gorge. The park opens at 7AM and there is a $5 parking fee. From the entrance, take a right to arrive at the visitor’s center, which has restrooms, snacks, drinks, and the gift shop. Here you will also find free maps and advice. Continue from the main entrance straight for 1.4 miles, passing several camping areas and arriving at the parking lot and the trailhead. There are restrooms here as well. Immediately you will notice the canyon just a short distance away, offering immediate reward without any work at all. This is especially nice for families with young children or those with mobility issues. Walk along the canyon wall to the right for more incredible views. This section of path is paved and easily travelled. 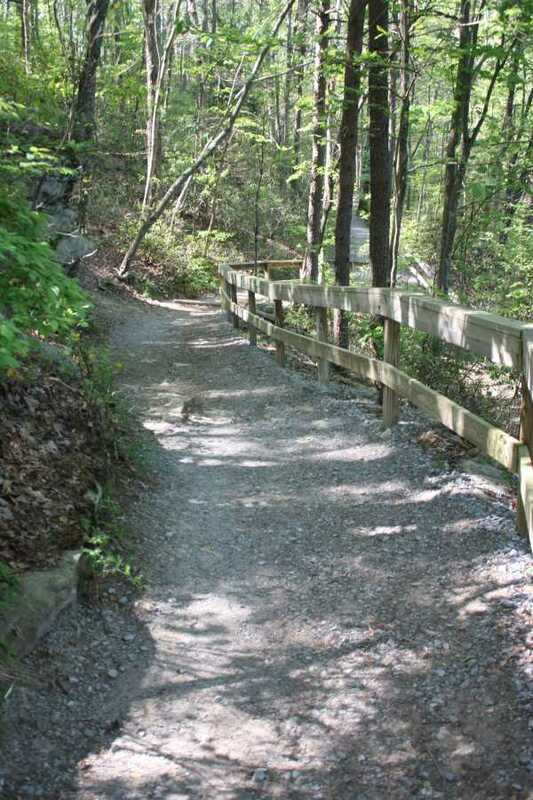 A short distance away, the path turns to the right, continuing as the Overlook trail; however, straight ahead, the path continues to another overlook. From here, turn back around to where you started. 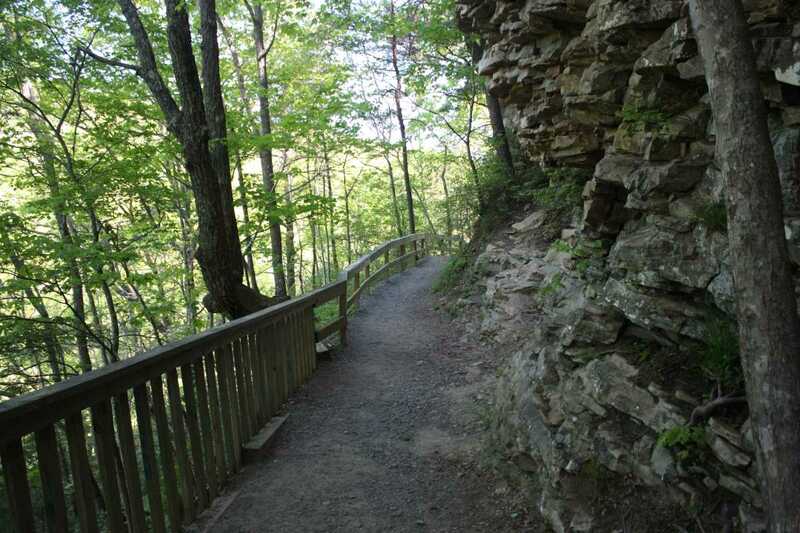 Walking straight, past the trailhead and previous overlooks, the West Rim trail continues along the canyon wall. 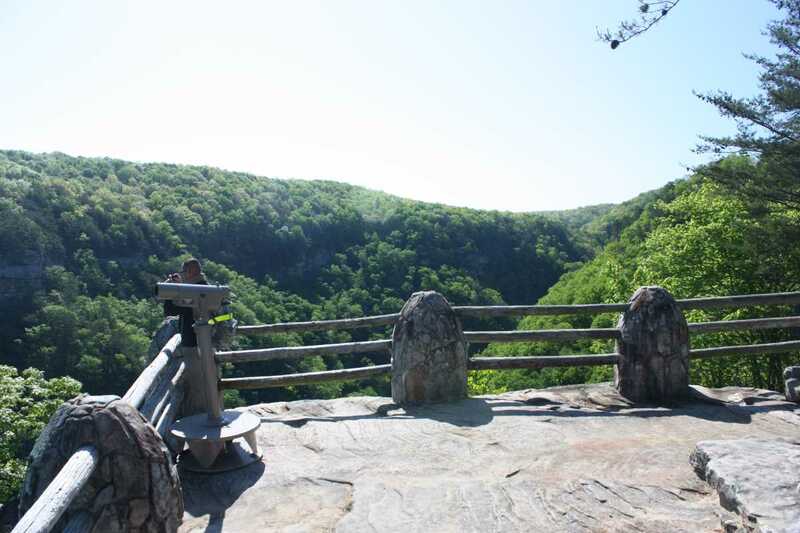 Even from these heights, the roar or waterfalls can be heard coming from the canyon floor below. This entire section around the parking lots can be very crowded as the day goes by, so the earlier the better if you want to skip the crowds. The trail quickly turns to gravel/dirt then comes to a junction, but reconnects to itself shortly. 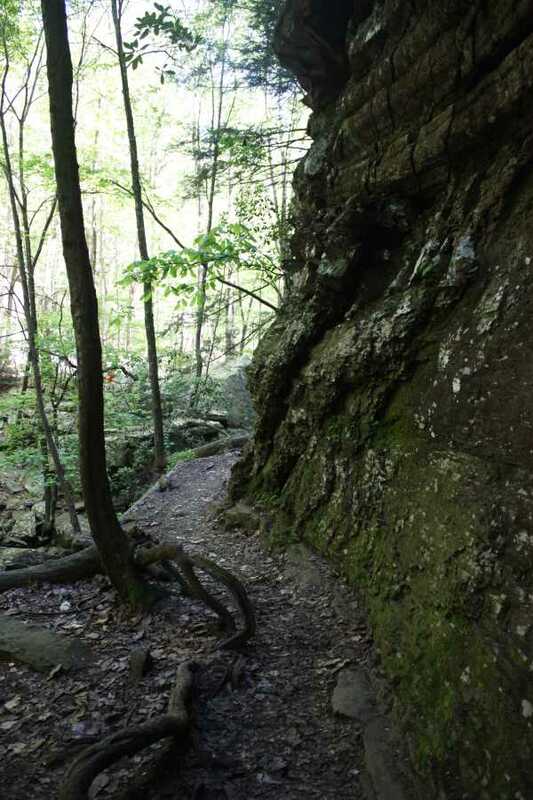 Take a right to head straight to the turnoff for the Waterfalls trail. 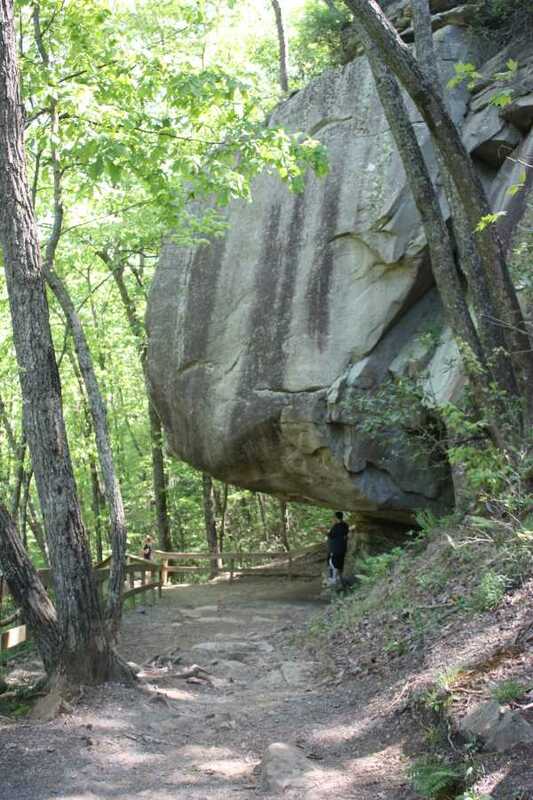 The trail clings to the rock wall, passing several interesting formations. Most of the rest of the way is straight down along grated metal staircases. 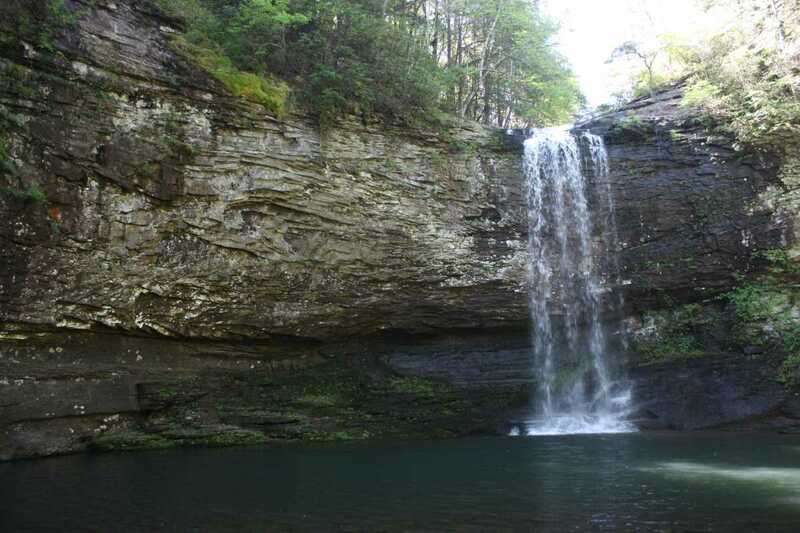 At the junction for the two falls, go left to Cherokee Falls (Waterfall #1), just .1 miles away. This fall is particularly beautiful, falling 60ft into a large pool partly surrounded by an arcing rocks wall. Unfortunately, no swimming is allowed. Taking a right from the previous junction, the second waterfall is .3 miles away; however, this is a much more strenuous trail, travelling down flight after flight of steps until finally reaching the canyon floor. A sign will point the way to Sitton’s Gulch trail, continuing on to the right. 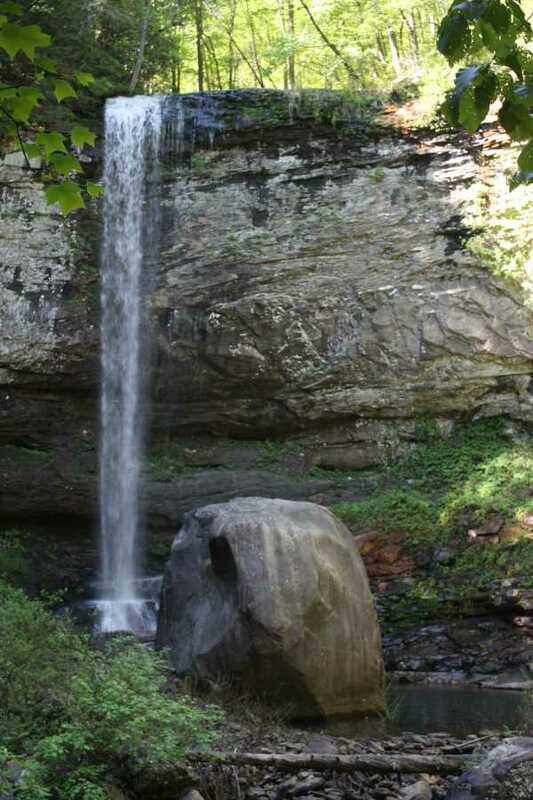 Take a left to view the Hemlock Falls (Waterfall #2), a 90ft waterfall that splashes down behind a huge boulder. 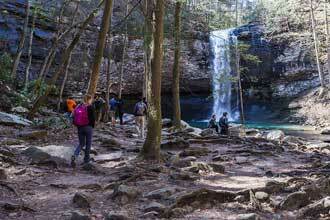 From Hemlock Falls, it’s all uphill to get back to the West Rim Loop trail. 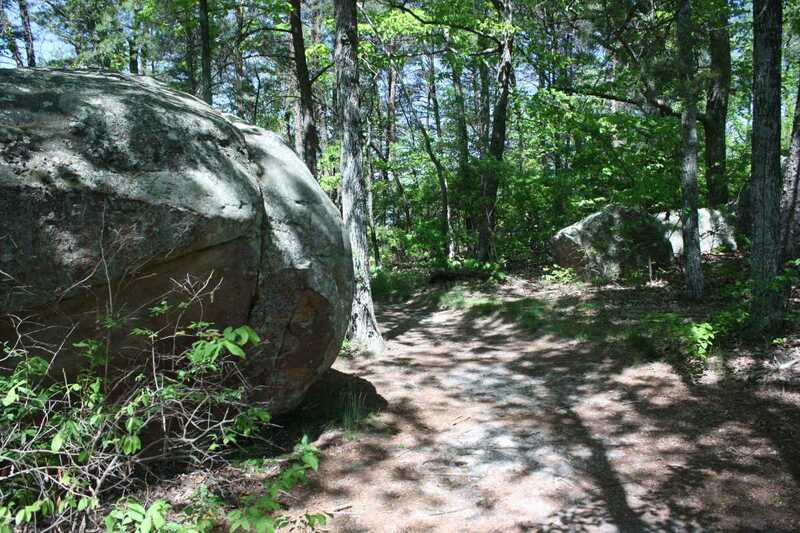 This is by far the most difficult part of this trail. 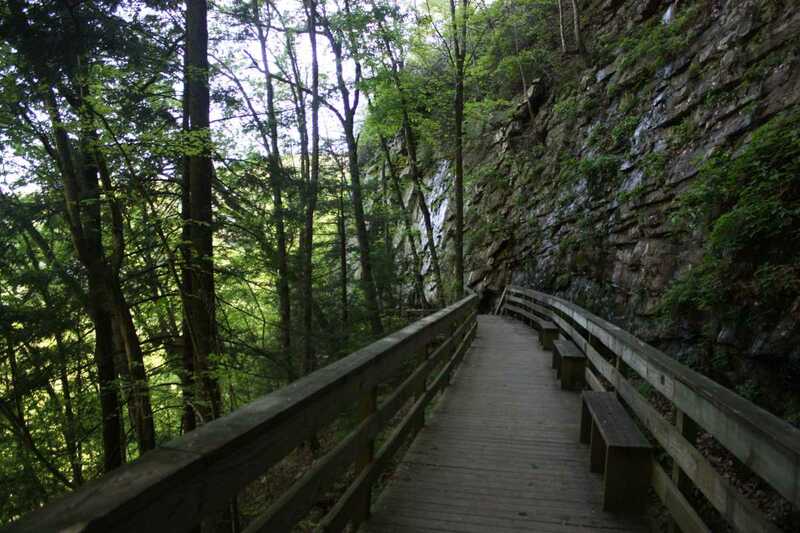 From the West Rim loop, it is 132 steps down to the split for the different waterfalls. To the first fall, it is another 41 steps. 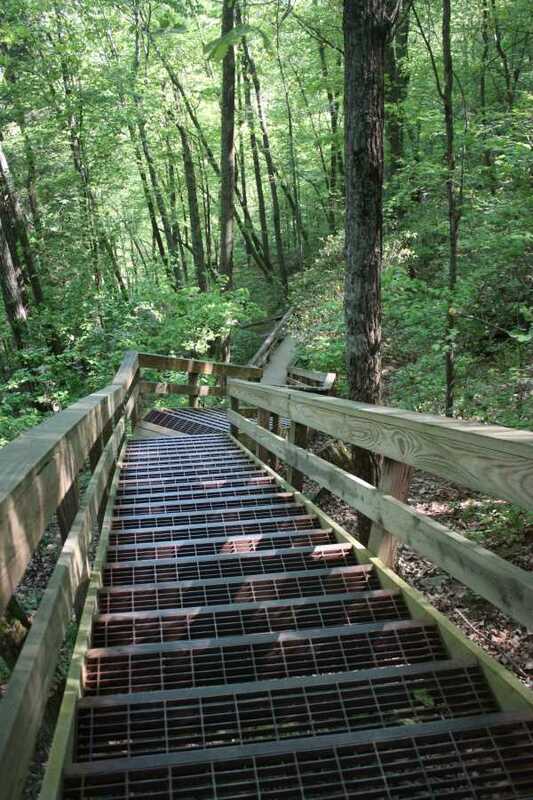 To the second falls, it is another 335 steps, making the total going up from the second falls back to the West Rim trail a total of 467 steps and almost 400 feet in elevation change. 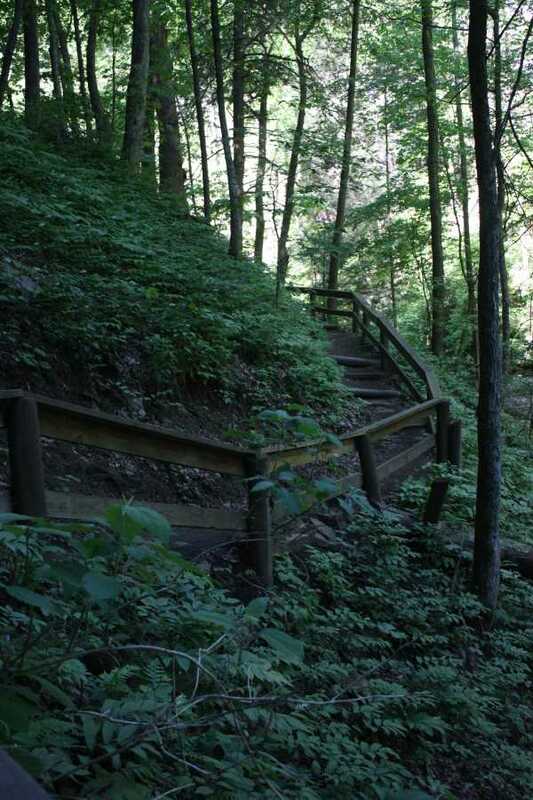 Once back on the West Rim trail, the path follows Daniel creek for a short period before crossing it by way of footbridge. The trail switchbacks up the hillside, gaining 150 feet in elevation. Be on the lookout for a couple sharp turns, denoted by a double yellow blaze. Eventually you will come to a small footbridge and information board with map. Here, the loop part of the trail begins. This description will follow the creek upstream making the loop clockwise. If instead you wish to follow along the canyon wall first, which most do, cross the bridge and continue counterclockwise around the loop. The trail follows the creek for a brief period, but stays level. 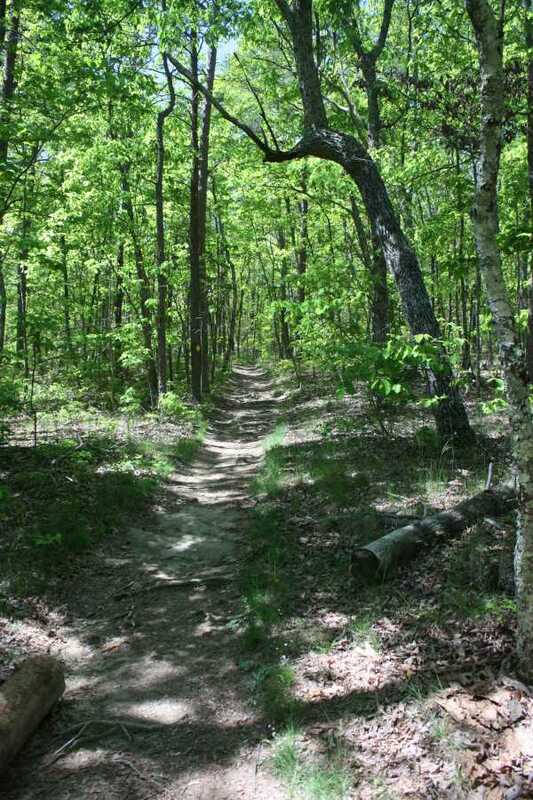 Here, the path is a mix of sand, roots, and rocks, but is easily travelled and a calm and relaxing walk. Crossing a road, the trail returns to the canyon wall for the remainder of the loop. 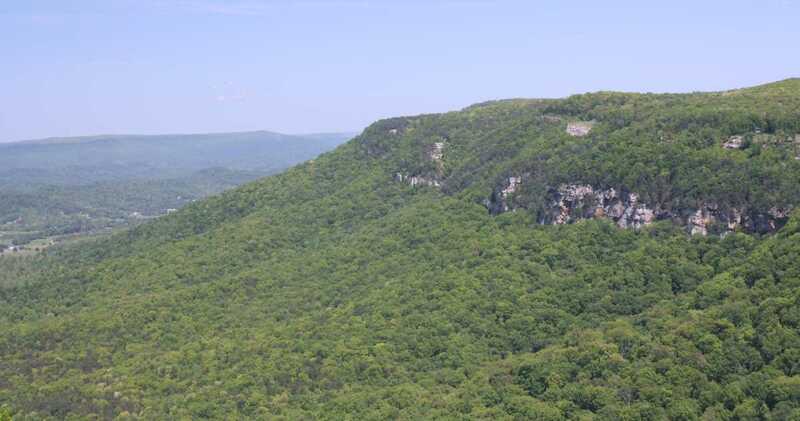 Look for side trails to several overlooks. There are also several side trails going towards the interior of the loop for cabin rentals, so no need to explore these. Once you arrive back at the footbridge and beginning of the loop, take the connector part of the trail back to the other side of the canyon and trailhead. Climbing up from the Waterfalls Trail, especially Waterfall #2, is very steep. Be prepared and know you're limits. 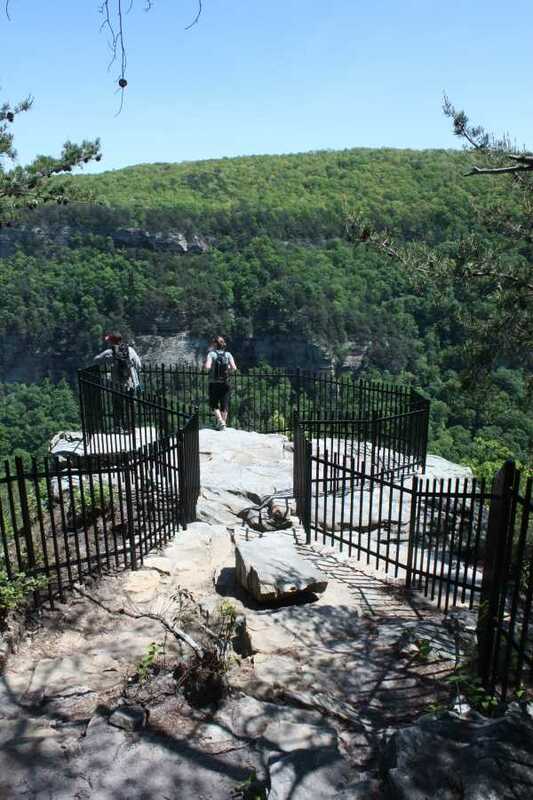 Several sections of the West Rim Loop contain scenic overlooks without any guardrails. Be watchful with children and pets. First dive deep into the canyon for two impressive waterfalls. Then navigate the rim for expansive views. This hike has it all. The climb out of the canyon may challenge you just a little.